Switzerland has it all: spectacular mountains, icy glaciers, picturesque villages, rolling hills and over 1,500 lakes to discover. And let’s not forget the gourmet food, friendly locals with treasured traditions and about 150 ski resorts to explore those glorious peaks. There is a wealth of exquisite properties sprawled across the snowy regions of this great country without perpetual ‘For Sale’ signs up like there are in other places, which makes each property for sale all the more exclusive. 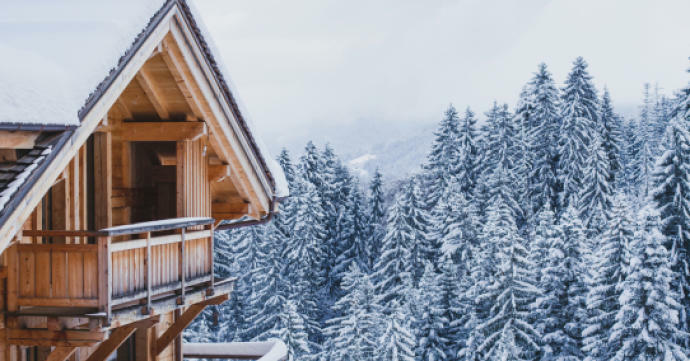 There are ski properties in Switzerland to suit a variety of budgets, and we have some absolutely stunning Swiss ski property listings that we would love to share with you. Let’s start in idyllic Champéry, which first started welcoming tourists in the 1850s. It’s a commune that excels at hospitality and offers so much to both residents and visitors. Champéry is one of 12 resorts that enjoys access to over 650km of slopes across the Portes du Soleil ski area. 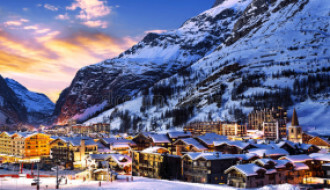 This makes it a tremendously popular place for tourists; so, if you are looking to buy property for rental income, Champery is a gold mine. 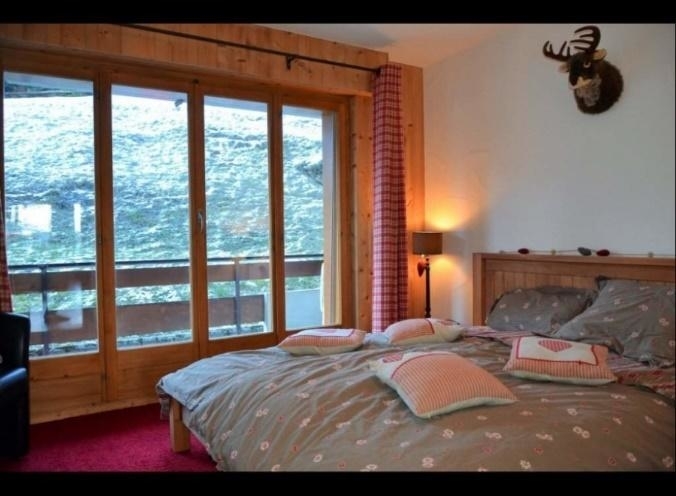 This lovely 2.5 bedroom apartment in Les Crosets resort in Champéry is ‘ski in, ski out’, comes fully furnished for maximum convenience and also boasts private parking. The terrace is spacious and looks upon the Dents du Midi mountain range, offering utterly exceptional views. This could be a comfortable home, and the perfect rentable mountain retreat for avid skiers in winter or mountain bikers in the summer. It’s the ideal spot for mountain explorers of all kinds! With an open-kitchen and living area, you can be staring out at this breath-taking view as you cook your après ski meal! 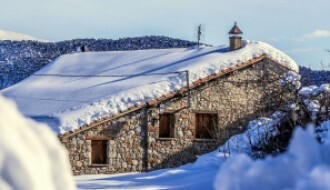 This gem is on the market for just EUR 312,203 – which is a great price considering the superb location and ‘ski-in, ski-out’ feature. Have a read of our Champery property investment guide for more information on purchasing in this area. 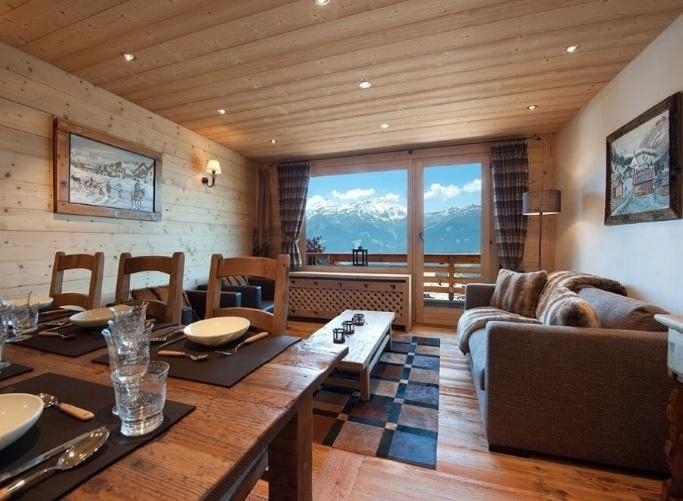 Next up, we have this beautifully stylish one-bedroom apartment very close to the slopes of La Tzoumaz, Wallis. La Tzoumaz is one of six interconnected resorts which service Les 4 Vallées, the largest ski area in Switzerland. Every inch of this renovated apartment oozes homely “hygge” design. It is situated just a 3 minute walk from the Savoleyres ski area, which is part of the 4 Vallées. The open plan living area boasts a terrace and the bedroom is also blessed with a south-facing balcony offering a fantastic view. This gorgeous home is on the market for an affordable price of EUR 228,656. The residence has just been renovated to a very high standard and also has a cellar for storage. This one will go quickly due to its location and special features, so it’s one to act on swiftly. This next property listing is the cause much excitement. We are proud to share with you the Eisvogel Smart Studios, marketed by our partners at Alpine Homes. 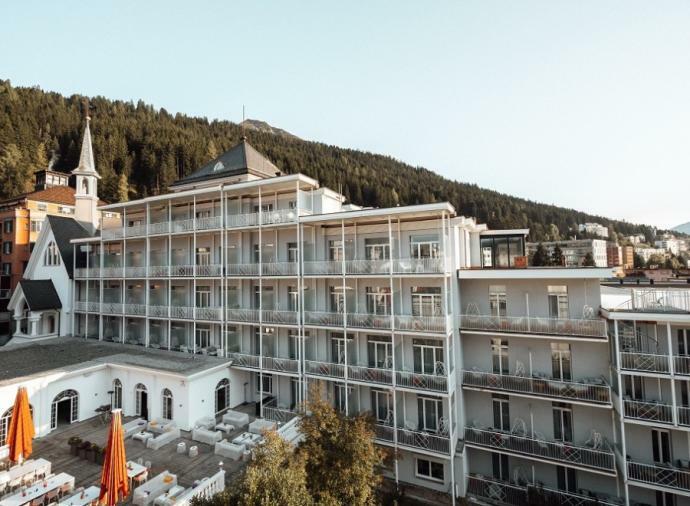 Situated in gorgeous Andermatt, a village and resort nestled in the heart of the Swiss Alps with a stunning mountain backdrop. These properties will truly take your breath away, due to the exceptionally high standard of innovative design and surprisingly low price tag. 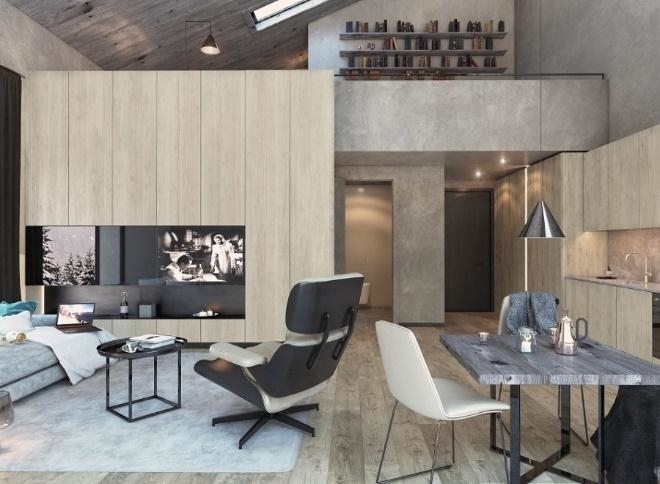 Once only offered in the high-end section of the Andermatt property market, the studios are exquisitely designed to be space saving as well as pragmatically luxurious. The building boasts a gorgeous spa and wellness centre, as well as a bar and café so it’s a community hub as well as a home for many. These studios are innovative, stylish and selling very fast, due to the opportunity of such an investment. The super stylish pied-a-terre studios offer the perfect winter or summer retreat and are a very easy way to earn plenty of rental income. The staggering price for a studio like this is only EUR 258,557, which is a sound investment in terms of the rental income it would quickly generate for you. 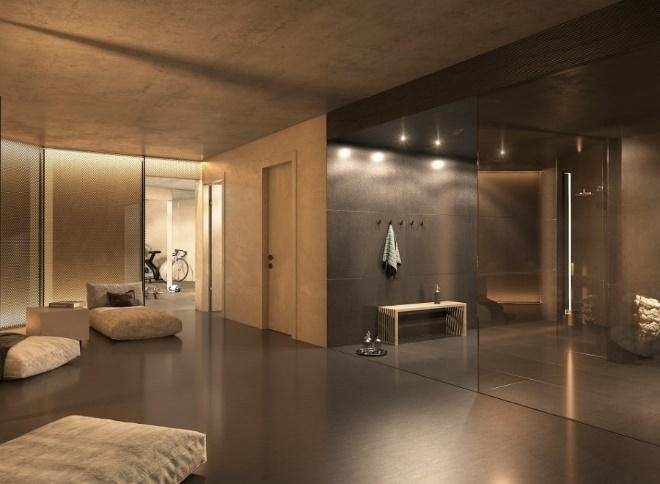 Our next property listing is an exquisite range of hotel serviced apartments; Gotthard Residences in glorious Andermatt. These luxury apartments are situated in the residence wing of the exclusive Radisson Blu; the wing is separate, so residents have privacy, but hotel facilities are easily accessible. These units are the perfect combination of holiday home and hotel, featuring the privacy and freedom of your own residence, while benefiting from exclusive hotel facilities and services (gym, spa, pool, security system, sauna, etc.). These extraordinary homes benefit from many exclusive features and are amazing investment opportunities. Prices start at EUR 571,551. Learn more about property investment in Andermatt by reading our guide on the subject. Next, we have homes fit for rock stars at the Hard Rock Hotel in Davos. As with the previous listing, these are exclusive homes for sale that are residential but within the hotel, so you can fully enjoy all of the amazing Hard Rock facilities and attractions, while owning a piece of it. The hotel also sorts out the rental side of things, so you will have plenty of rental income without the hassle of finding tenants yourself. These homes are new, fully furnished and expertly designed by acclaimed architects. Enjoy mountain views and homely comforts crossed with chic style and access to pool, sauna, hammam, hotel restaurants and various cocktail bars (including a rooftop bar!). Check out the Hard Rock Residences in Davos now and start a property hunt that will change your life. Over in the chic resort Verbier, there are some very hot property listings if your budget is on the higher end of the scale. Located in the Savoleyres area, you will find this very special ski out 2 bedroom 1st floor apartment in the Porthos residence. Blessed with gorgeous alpine design and warmth, this apartment is both luxurious and extremely homely, boasting utterly breath-taking panoramic views. With 2 bedrooms and 2 bathrooms, this is a great family home and offers a huge rental income opportunity. 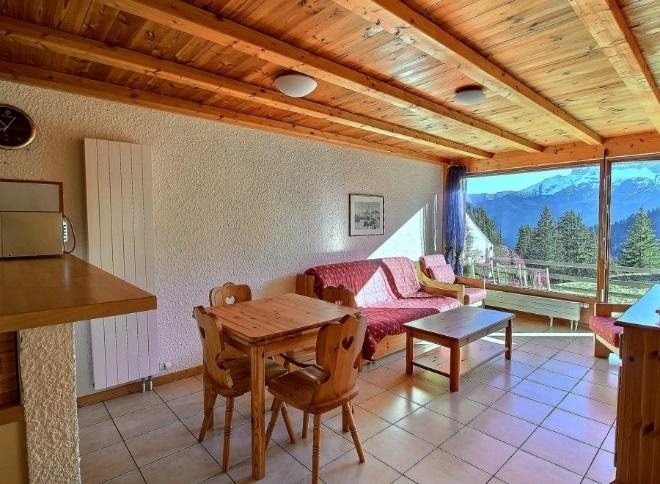 It’s situated just 50m from the ski lifts and bus stops, so access to the resort is on the door step. The price for this piece of paradise is: EUR 1,160,421. 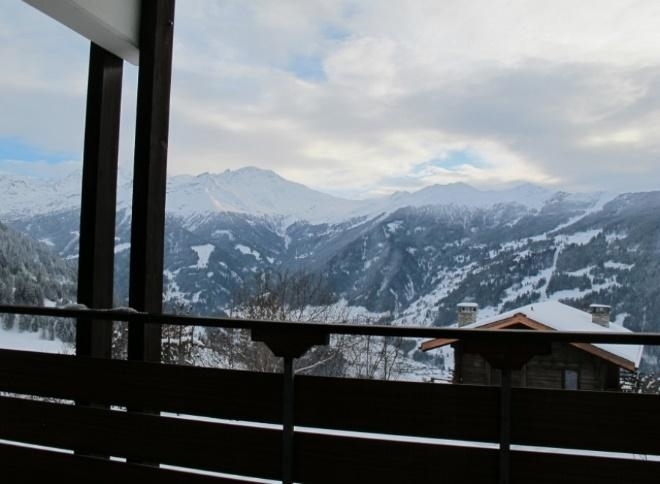 Our last hot listing, also in Verbier, is this beautiful 4 bedroom apartment, offering superb panoramic mountain views, a homely feel, private garden, fireplace, private parking and ski room. There is a separate dining room large enough for a banquet, 2 double bedrooms, one of which comes with an en-suite and 2 other rooms able to sleep another four people. So, this spacious home offers plenty for its price. Owning a home in the clouds in this desirous location will set you back EUR 1,977,990 but with endless benefits and opportunities to enjoy, it’s well worth it. After all, what could be more appealing than a ski property in Verbier? We hope you’ve enjoyed perusing these extra hot properties. 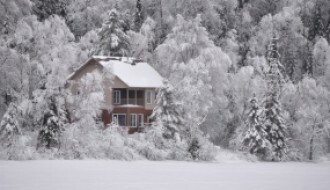 Get in touch with SnowOnly to find an agent who will help you find the right heavenly home for you.